In contemplating the 473,937,493 “easy” steps it would take for me to become a real German, I never imagined that I might need actual steps to complete the journey. Or, at the very least, a stepladder. Yep, it turns out that I may just be too damn short to be a proper German. Ever helpful, Germany has been throwing some not-so-subtle hints my way for a while now. 1. I can’t reach around two thirds of my flat. German apartments were clearly not designed for leggily-challenged Irish women. 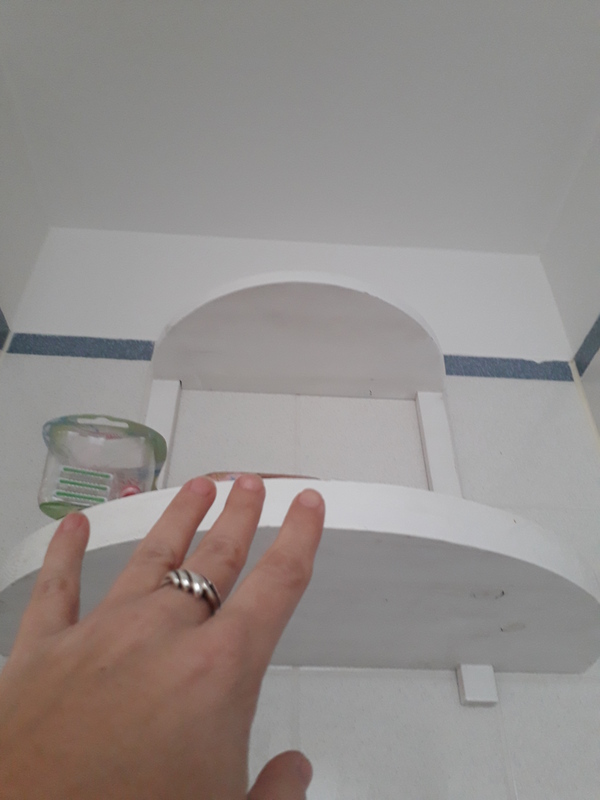 Everything in the kitchen and the bathroom has to reside on the bottom shelves as they’re the only ones I can reach without having to stand on a chair. 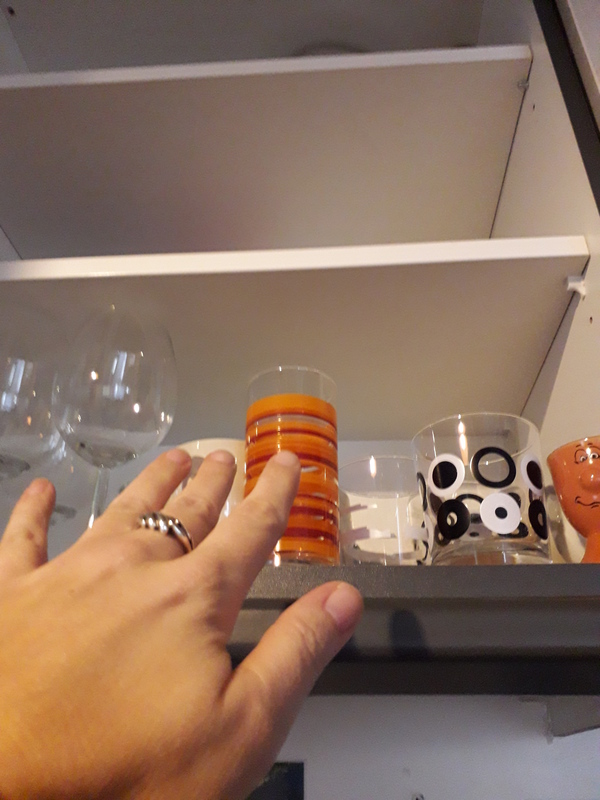 What lurks on the lofty top shelves will remain a mystery, but the good news is that I only have to clean what I can see. I just have to remember never to invite anyone over who’s taller than me – which could rather limit my social circle here in the land of the German giants. 2. 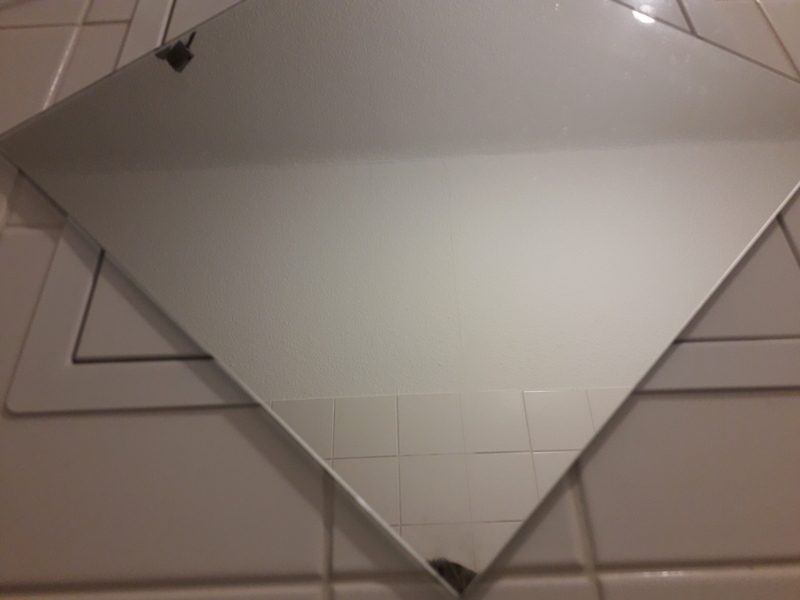 German mirrors mock me. Does this make my head look big? See that dark speck at the bottom of the mirror? No? Look a bit closer… Got it? That’s me. Or at least the only bit of me I can see in the mirrors in many cafés, bars and restaurants. I have to make sure that I look semi-decent before leaving home because that’s probably the last glimpse of myself I’ll catch all night. Standing on tiptoes might reveal the top half of my fringe; jumping up and down creates a weird gurning expression that isn’t really conducive to checking if my make-up is OK. It also attracts some rather odd looks from the other women in the bathroom who aren’t Lilliputian and will never understand my short-world problems. German clothes, it appears, were designed for German people. Go figure. 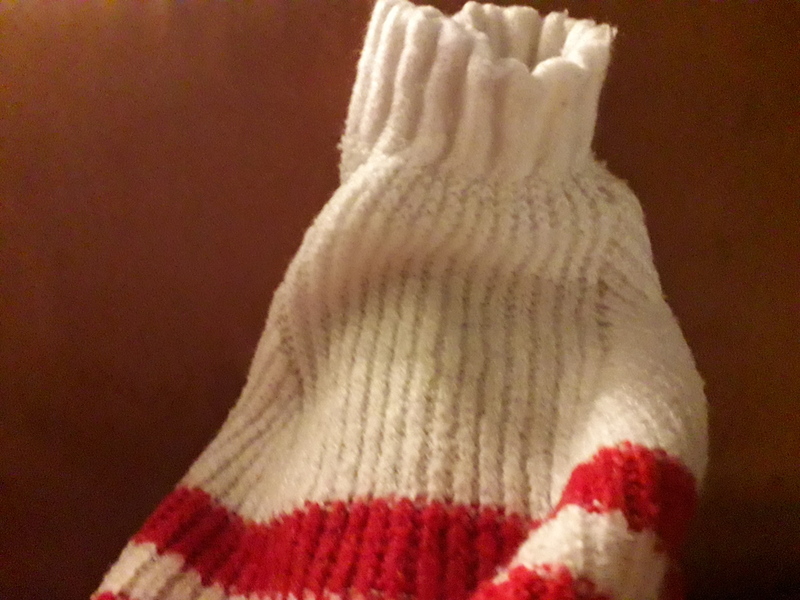 That’s a photo of the sleeve of an XXS jumper. My hand is actually in there – it’s just somewhere around the elbow mark. German trousers make me footless, German jumpers leave me handless and kneeless. The upside is that even if I fail to make it to the gym for a week, I still look tiny thanks to the swathes of German fabric floating around me. This is all quite compelling evidence but the real kicker came a few days ago. I found myself in the strange and wholly unusual position of actually wanting to cook something. As the only things that are an absolute must in my kitchen are tea, milk and sugar, this would require a trip to the supermarket. I sauntered around picking up what I needed and eventually happened upon the frozen foods section. 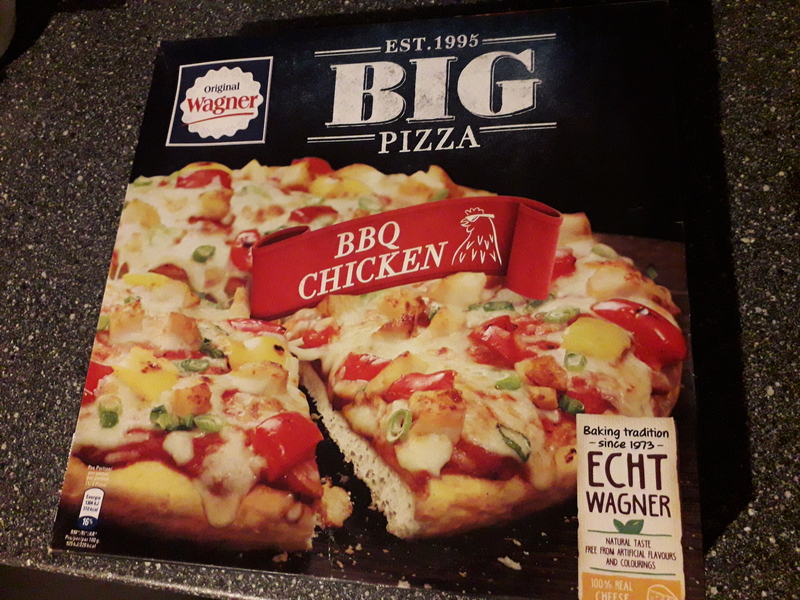 As everyone who is kitchen-skills-impaired will know, it’s always good to have a back-up pizza in the freezer so I decided to add one to my basket. I hoisted myself onto the edge of the freezer and stretched. Both feet dangling above the floor, I gripped cardboard but couldn’t dislodge the damn thing. Grunting with effort at this stage and vaguely aware of someone standing behind me, I elegantly dismounted and turned around with a “nothing to see here” expression on my face. A slightly bemused-looking (TALL) German man was standing there. He reached into the freezer, smoothly freed my desired pizza and handed it to me. Erm, thanks. That was a bit embarrassing. No, no! Not at all! It really was packed in there! Bloody Germans are so nice. And frickin’ tall. In conclusion, it seems the one step that might stump me, is the fact that I’m stumpy. Was determined she wouldn’t be grumpy.